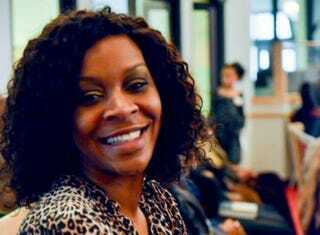 Three days later, Bland was found dead in her jail cell. Authorities allege that Bland hanged herself, but Bland’s family and friends aren’t buying that story. And neither is social media. Bland’s name has been a trending hashtag for the last two days. And Thursday night, people on Twitter started echoing their own sentiments about the possibility of being killed while in police custody. #IfIDieInPoliceCustody is a sad statement about how people feel about those who are sworn to protect and serve. #IfIDieInCustody is reminiscent of #IfTheyGunnedMeDown, which trended after the police killing of Michael Brown almost a year ago in Ferguson, Mo. Over the last couple of years, we’ve seen countless black people die at the hands of law enforcement. And in the majority of those cases, the police officers got off scot-free. No one knows what happened to Bland. Her family deserves answers. Her friends deserve answers. And no one deserves to live in fear of law enforcement. But unfortunately, this is a harsh reality we deal with.